Australia's first match is against Afghanistan at the County Ground in Bristol on June 1. Less than four months left for the World Cup in England and all the pundits are busy predicting the Australian squad, deciphering the team’s balance and scrutinising their feeble state post repercussions of the ball tampering event. The Aussies are scheduled to play their first match against Afghanistan on Saturday, June 1 at the County Ground in Bristol. Australian cricket and their fans have been through quite a lot of predicaments since the ban of Steve Smith and David Warner. While Smith and Warner’s suspension will be over by end of March, their place in the world cup squad isn’t confirmed. “If you add Warner and Smith back into that line-up then I think that team looks as strong as any,” said the newly appointed assistant coach Ricky Ponting. 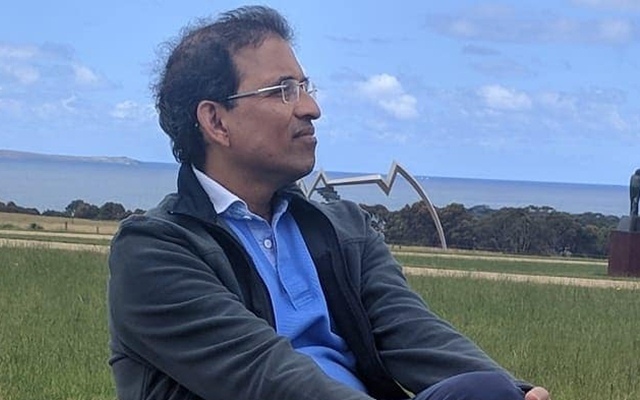 Renowned as ‘The Voice of Cricket’, Harsha Bhogle while speaking on a show with Cricbuzz has picked his Aussie squad for the mega event in England and Wales. Though both the players have suffered injuries during their suspension period, Harsha is hopeful of the banned duo to be fit and playing the tournament. His top three will be Aaron Finch, Warner, and Smith. D’Arcy Short has been chosen as the reserve opener. Alex Carey is the wicketkeeper in Harsha’s team and Peter Handscomb is the backup keeper. He has picked Shaun Marsh and Peter Handscomb to shoulder the middle-order duties. Glenn Maxwell and Marcus Stoinis have been in exceptional form in Big Bash this year, with their team Melbourne Stars reaching the semi-finals. It is no surprise that Bhogle has picked them for the all-rounders’ and finishers’ job. Adam Zampa is entrusted to lead the spin department. Harsha would prefer Nathan Lyon ahead of Ashton Agar because of the experience that Lyon carries. While Australia’s batting is in the shambles, there is a problem of plenty in the pace-bowling department. Mitchell Starc and Pat Cummins are no-brainers, and Nathan Coulter-Nile has been chosen over other seamers. If Coulter-Nile isn’t fit, Hazlewood will replace him in Bhogle’s team. Harsha has also selected Jhye Richardson over the likes of Jason Behrendorff, Andrew Tye and Kane Richardson.